Eye exam charts are the new specimen art. Maybe even the new subway art. 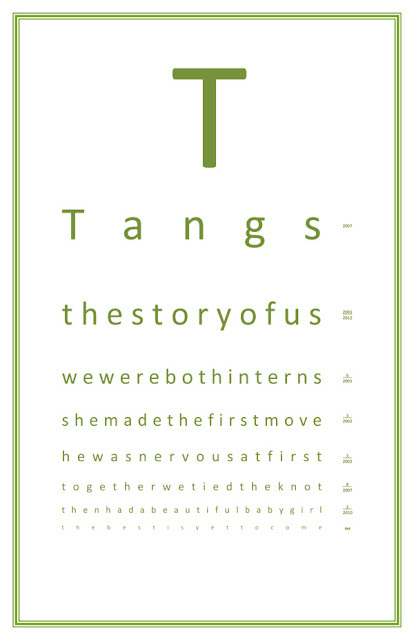 This fun personalized eye exam chart can be edited to contain the story of how your family began. A fun valentine gift and a cute piece of personalized art to hang on your wall. You can get this free printable eye exam chart from The Cheese Thief in two different sizes and use Word to edit the story and the colors.